Are you up for the ultimate challenge? 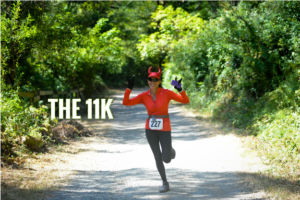 The Devil’s Dirty 30K packs a whopping 4,122′ of climbing into this beautiful and tough 18.1-mile course. 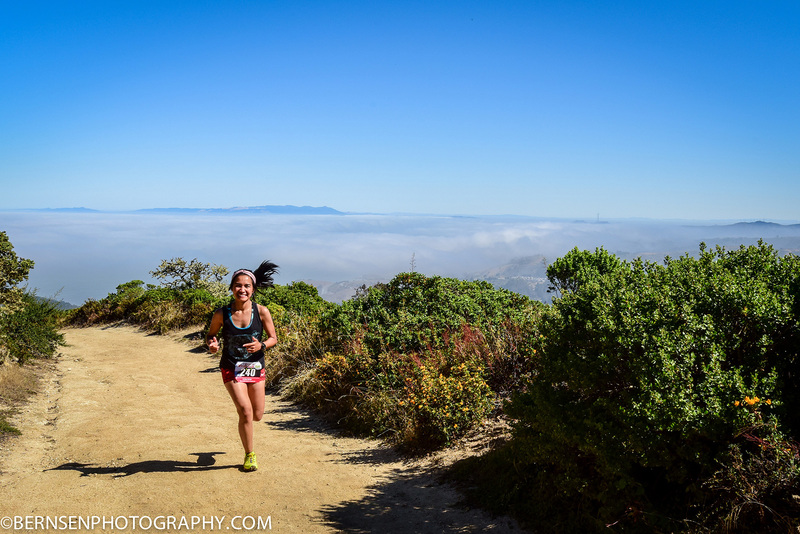 This 30K has it all: challenging climbs, long downhills, and stellar views from some of the best trails on the San Francisco Peninsula. 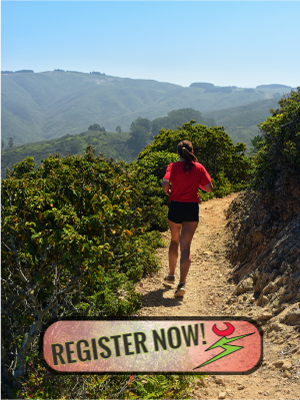 In addition to traversing every trail in San Pedro Valley County Park AND a trip to the summit of North Peak, the Devil’s Dirty 30K includes the infamous Alta Vista Trail, which climbs 1,200 feet in just over a mile and is, according to the San Francisco Chronicle’s Outdoors writer, Tom Steinstra, “the steepest trail in the Bay Area, bar none!” The Alta Vista Trail was opened to public use only a few years ago, and PARCA was honored to be the first organization permitted to use the trail by the National Park Service for an organized athletic event. 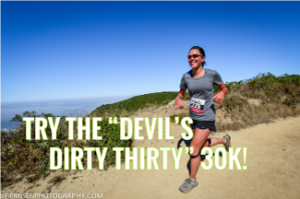 Please note that the Devil’s Dirty 30K route is a challenging course, including one mile of steep and rocky terrain which will be a hike for most people. 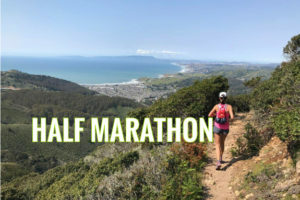 The course is tough, but you will be rewarded with jaw-dropping panoramas of the San Mateo County coast, an incredible sense of accomplishment, AND a catered all-you-can-eat lunch afterwards! If you have specific questions about the course, please email us at dsr@parca.org. There are four aid stations along the 30K course at mile 2.4, 5.8, 10.6, and 12.9. Check our Race Day Schedule & Parking for starting times and additional details. You can also Follow us on Twitter and Facebook. The cutoff time for all trail run courses will be 3:00 PM. Past this time, course markings will start being removed and aid stations shut down. All routes are subject to change based on CalTrans and local government requirements and/or weather conditions.